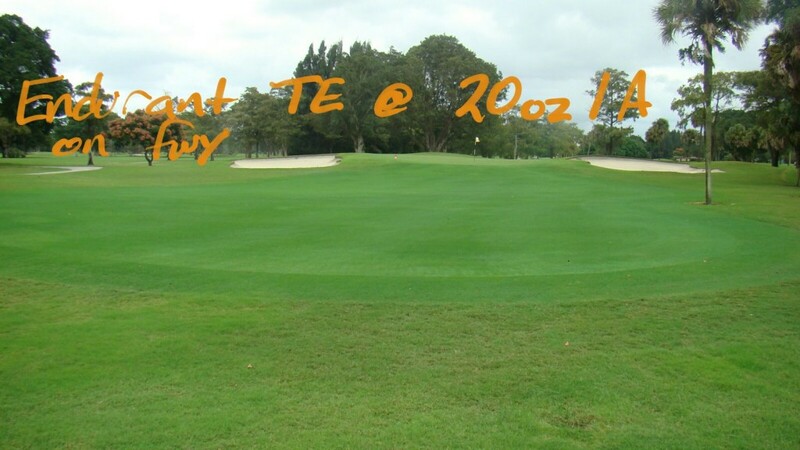 Endurant TE is the colorant for providing the spring time green of healthy turf. Endurant TE is specially formulated for actively growing grass intended for use from spring transition until approaching dormancy conditions occur. 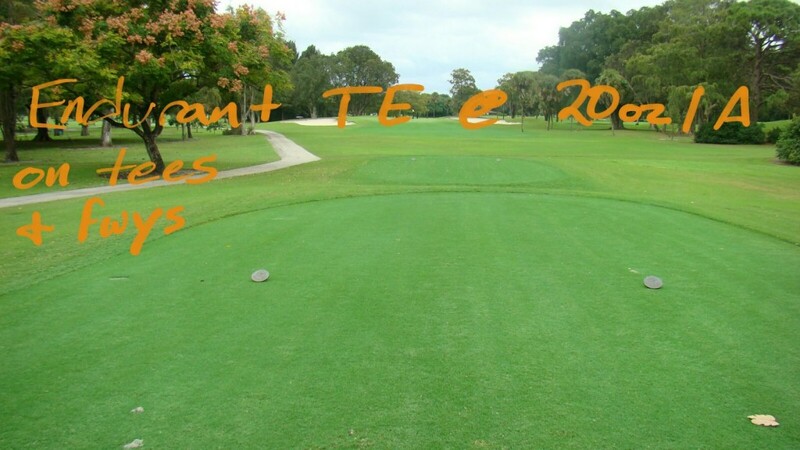 TE provides the natural looking green associated with actively growing healthy turf. Endurant TE is easy to use and mix with other products. TE turf colorant provides color uniformity and vibrancy. The TE colorant, like all Endurant products in the full line of colorants, can mask the discoloration from chemical treatments or other turf challenges. Best of all, TE provides a lush green appearance on a regular basis making it a popular colorant for golf course superintendents seeking to please their most discerning club members and guests. Endurant TE is equipment friendly and tank-mix compatible with fertilizers and other chemicals. TE is to be applied at a rate of 16 to 24 ounces per acre. Increase or decrease the application rate to reach the desired color depth. Turf conditions such as chlorophyl levels and rate of photosynthesis, equipment calibration and other conditions influencing grass depth of color cause coverage rates to vary. 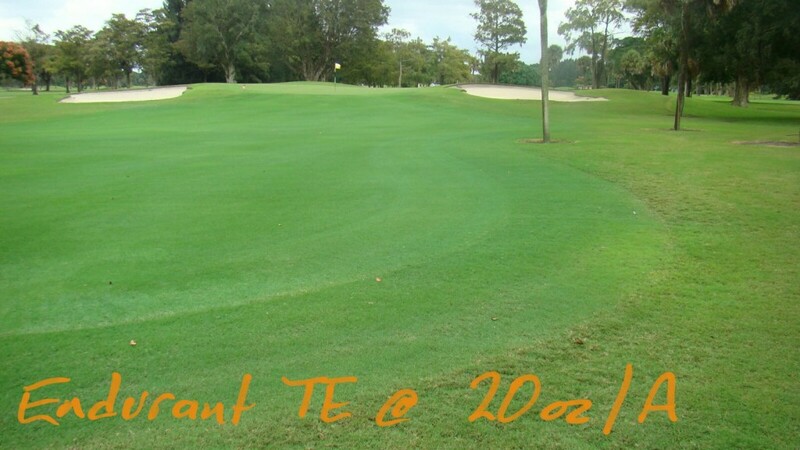 Check out these photos of Endurant TE turf enhancer colorant applied to a golf course in Florida. It’s easy being green this spring with Endurant TE. 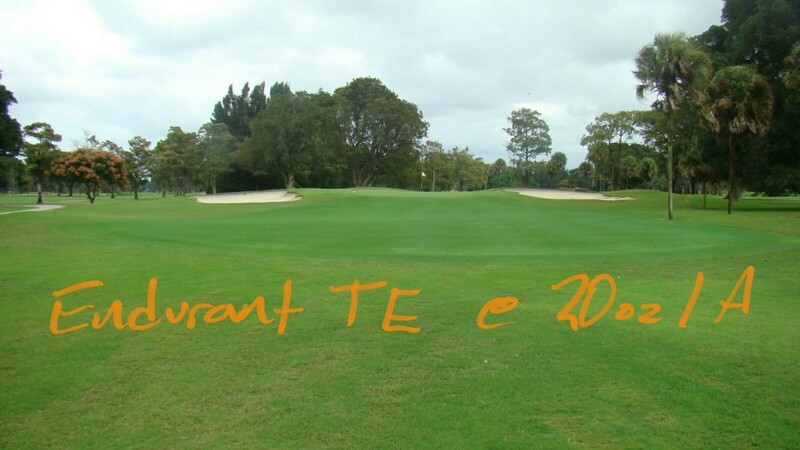 Here TE was applied throughout the winter and into the spring on tees and fairways at Fort Lauderdale Country Club. Endurant TE provides this Florida golf course with vibrant green turfgrass throughout the winter and now into the spring. TE provides lush green grass throughout seasonal transitions while saving water and fertilizer usage. Endurant TE applied at the rate of 20 ounces per acre provides rich lush green color to actively growing grass. Endurant TE turf enhancer colorant provides vibrant springtime green grass to this fairway at the Fort Lauderdale Country Club in Florida.